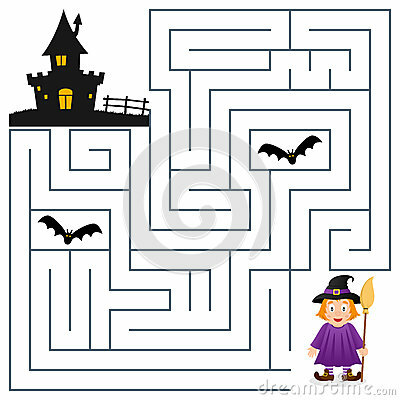 Halloween maze game for children. Help the cute witch find the way to the haunted house. Eps file available.